My last seminar ( Wed, Jan 6th,2009) on INVENTED LIFE was rocking. 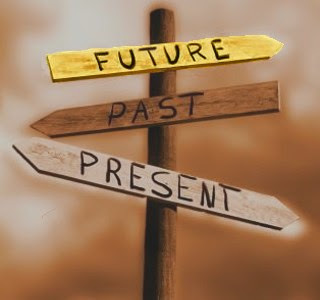 Ritu Shri, our coach explained in so simple ways that there is no past or future just the present. She said that our past memories are simply neurons firing now and our hopes for future are nothing but neurons firing now. She explained that when we fear, it is nothing but our neurons firing and then we do not take action. I could make our why people do drugs or indulge in alcohol, well it simply suppresses neurons firing. I also learned that we do not take action due to fear. And it is possible to take action despite fear. Just take action. I usually do not approach potential customers or ask for payment upfront from my existing customers. I always fear that they may not buy my services or think I am greedy or short of money or does not have trust on them. During the seminar I saw that this is not real but just my neurons firing due to some old events. On 6th late night, I emailed one of my customer that I am not interested in working with him, till he clear all my pending payments. I prefer relaxing than working and keep chasing for payments. On next morning (Jan 7th,2009) I picked up the phone and called one of my prospective customers and asked for a meeting. I met him, invited to my office, make a presentation. I told him that business will start with an advance payment. On Jan 9th, both of them have made payment to me. I will be sending proposal to two more customers in this week. Will post the results next sunday. This seminar has also helped me in my personal life. More about that in my next post.